Maritzburg United secured only their second ever win over Free State Stars, the 1-0 victory earning the Team of Choice a crucial three points. The victory at Goble Park on Tuesday evening saw Maritzburg playing with 10 men for the final 10 minutes after Pogiso Sanoka received a second yellow card. The only goal of a tense game in Bethlehem came in the 13th minute, Sheldon van Wyk proving to be the match winner as he fired in from an Evans Rusike cross. It was Rusike who had enjoyed the first opportunity of the evening, but his 20-yard effort was well saved by Johnny Mathole in goal for Ea Lla Koto. After the goal had been scored, United had to be at their best defensively as Stars upped the ante in search of an equialiser. Maritzburg goalkeeper Virgil Vries made a fine save before half time to brilliantly keep out Paulos Masehe's 18-yard shot. Chances were at a premium in the second half, the only real opportunity seeing Danny Venter's 75th minute free-kick going narrowly over the crossbar. Some gutsy defending in the end enabled the Team of Choice to get over the line with the crucial three points in the bag. 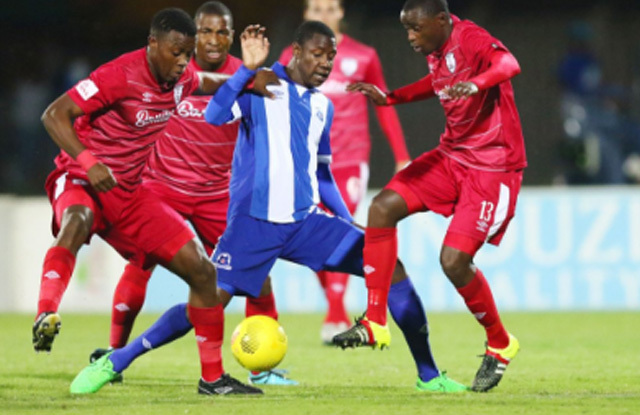 Maritzburg United secured only their second ever victory over Free State Stars, the 1-0 win earning the Team of Choice a crucial three points.